Liverpool centre-back Dejan Lovren is set to return to action following the clash against Crystal Palace on January 19. Lovren was substituted just six minutes into the 2-1 loss to Wolves on Monday due to a hamstring injury, where he was replaced by teenager Ki-Jana Hoever. Despite the 29-year-old missing this weekend’s game against Brighton at the Amex, Jurgen Klopp expects the £90,000-a-week [Spotrac] star to be back after they play Palace in just over a weeks’ time, as relayed by Echo journalist James Pearce on his personal Twitter account. Lovren missing the game against Brighton on Saturday is a major loss to Klopp no doubt, but the fact that he will be fit following the game against the Eagles the following week is undoubtedly a major boost. 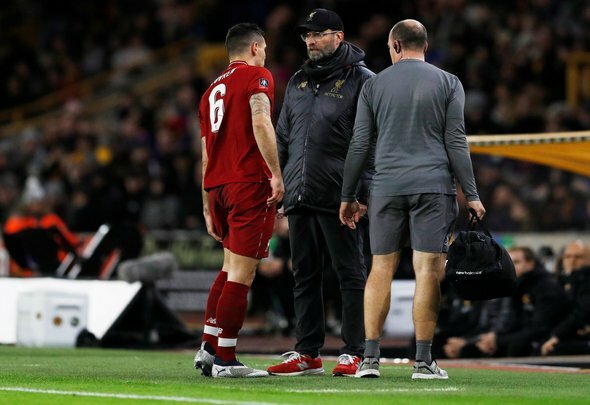 There were questions as to how long Lovren would be sidelined for after the game against Wolves, but the fact he is set to return rather soon will be a huge relief to the fans, after all, how many more defensive injuries could they take? Klopp has had to use Fabinho out of position at centre-back, and this is a far from ideal scenario for everyone. Liverpool are more than capable of beating Brighton without a few of their key players, but defence is often a position that can let them down. If the Reds are going to be beaten on Saturday, then it will be their back four that will be the most at fault – but those concerns will all be put to bed once Lovren returns.